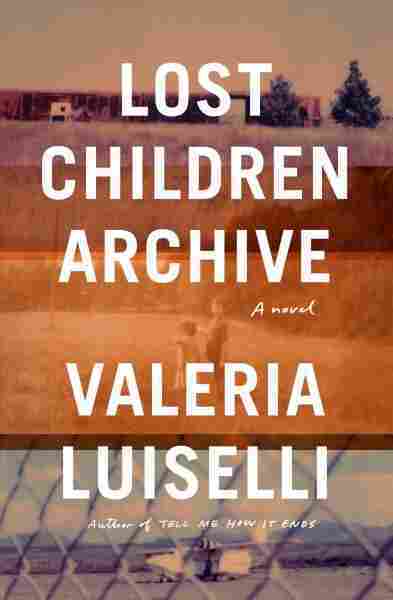 'Lost Children Archive' Review: These 'Lost Children' Belong To Us All Valeria Luiselli's Lost Children Archive centers on a family's tense road trip to the Southwestern U.S. border. Critic Maureen Corrigan says it's an epic and elegant work. Valeria Luiselli is on to readers like me, readers with a skeptical attitude toward novels ripped from today's headlines. I always wonder whether the social commentary in such fiction will be its big selling point, compensating for a thinly imagined, overly reportorial narrative. Luiselli's latest novel is called Lost Children Archive and it focuses on the migration of thousands of unaccompanied minors who've crossed from Central America and Mexico into the U.S., seeking asylum. She's written about this issue before in non-fiction — a slim book called, Tell Me How It Ends, born of her own work as a volunteer court translator for undocumented children in New York. The book was structured around a series of official questions the children answered, as well as a car trip Luiselli and her own family took to the border. That same scaffolding pokes through Lost Children Archive: The main narrator here is a unnamed woman researching a sound documentary on migrant children and the novel is composed mostly of her thoughts on the road trip she takes with her family from New York to the desert reaches of the great Southwest. As to my skepticism about whether or not such a baldly relevant political subject as the fate of undocumented migrant children can be transformed into art, Luiselli's narrator — her semi stand-in in this novel — asks those same questions, worrying whether her documentary will be "moralistic" "boring," and heavy handed. In response, the novel Luiselli has created vaults over those pitfalls, thanks mostly to the inexhaustible buoyancy of its language. But be forewarned: that soaring writing style is practically the only uplifting element in this fictional travelogue. Luiselli shuns the jauntier adventures of a Kerouac or Whitman and, instead, sticks to the American Gothic pathways charted by Edgar Allan Poe, Carson McCullers and Cormac McCarthy. Indeed, audio versions of some of their books are packed, like roadmaps of hell, into the glove compartment of the family car. When Lost Children Archive opens, our narrator, her husband, 5-year-old daughter and 10-year-old stepson are in their car driving over the George Washington Bridge. Even before they reach New Jersey, there are signs that the narrator's marriage, like the country she and her family are exploring, is splitting apart. The narrator's husband, who's also a sound documentarian, wants to travel, not to the border, but to Apacheria, the Southwestern lands that were once Apache territory. In fact, he wants to move there for a few years to create a soundscape of the ghosts of Cochise, Geronimo and what he calls "the last free peoples on the American continent, the last to surrender." Our narrator, in contrast, wants to work on a soundscape giving voice to child refugees, "the lost children. ... [C]hildren who have lost the right to a childhood." Mile after mile, tension tamps down the atmosphere in that car, an accompaniment to the unspooling ragged roadscape of motels, Dunkin' Donuts franchises and big box stores. Our narrator describes her husband as "silent, remote, persistent in his task behind the wheel. The sun has set, the light is blue gray, and he focuses on the road ahead as if underlining a long sentence in a difficult book." Who can blame the kids for asking, every so often, "Are we there yet?" But, lest we readers also weary of the emotional flatness of this trip, Luiselli takes lots of detours in subject and style. Lost Children Archive is epic in its assured embrace of American history, literature, pop culture and, yes, politics. Luiselli smoothly integrates different ways of telling the same story: fragments of poems, a bravura sentence that runs on for 20 pages, Polaroid photos and other documents, like migrant mortality reports. Throughout, we hear about children from the past who also became lost in America: children packed into slave ships or orphan trains. And, toward the end of the novel, the boy takes over the narration to give a harrowing account of how he and his sister got lost in the great emptiness of the Southwestern desert. That's really the point of all of Luiselli's elegant exertions in this novel: to draw readers into the gut realization that, if not for luck, the grace of God, money — whatever — these lost children could be our children. Not every reader is going to like that message; not everyone is going to want to go along for this rough ride. But there should be no worries about Luiselli's up-to-the-minute subject. Lost Children Archive ratifies the power of great fiction to expose our deepest desires, fears, and hopes as we stumble through a world we share with others, yet barely understand.